Highlight your best features with the DIOR Glow Squad, a couture collection of awe-inspiring beauty by Creative and Image Director for Dior Makeup, Peter Phillips. For this season only, your complexion is illuminated with a plethora of holographic pigments. Eyes are dressed in iridescent rosy hues, lips are accentuated with glowing brilliance, and cheeks appear ethereal with a glow of light-reflecting colour. Are you ready to embrace radiance? 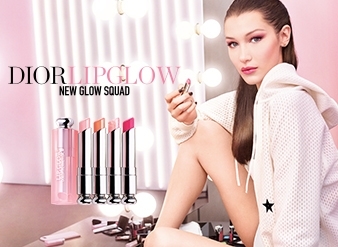 Let go of your inhibitions and join the DIOR Glow Squad.